The Texas mom charged in the death of her young daughters allegedly told friends to ignore the cries coming from her car, saying the children would eventually tire themselves out, according to reports. Amanda Hawkins, 19, is accused of leaving her children, ages 1 and 2, in her car for at least 15 hours as she spent time at a friend's home Tuesday and into Wednesday, Kerr County Sheriff Rusty Hierholzer said. The vehicle's windows were rolled up as temperatures dipped into the 60s overnight. But by noon the next day, temperatures had climbed to about 85 degrees — the humidity made it feel like 105 degrees — and the girls were left without food, water or anywhere to use the bathroom, he said. At one point Tuesday, someone inside the home allegedly heard the girls crying and asked Hawkins to bring them in. "She said: 'No, it's fine. They'll cry themselves to sleep," Hierholzer told The Washington Post. A friend who had arrived at the home with Hawkins at one point reportedly went to sleep in the car with the children, but went back inside, once again leaving the girls alone. After finding the children unconscious, Hawkins bathed and redressed them, but did not immediately take them to the hospital, officials said. 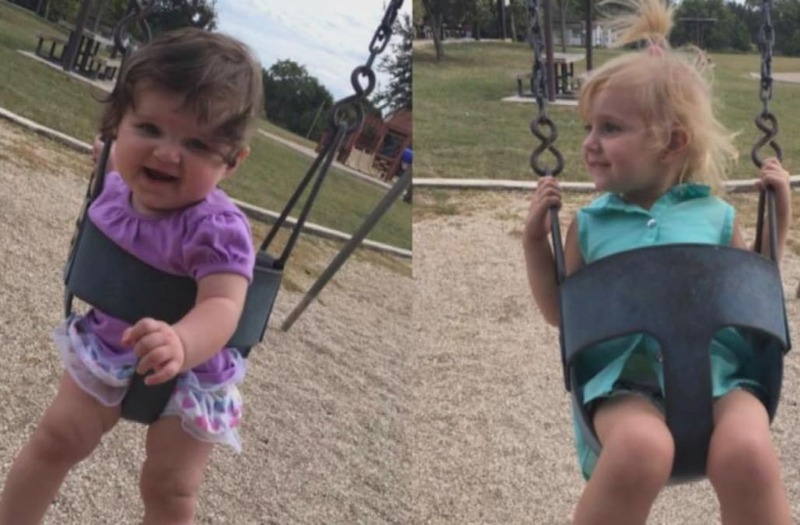 Eventually the mother brought the children to a Kerrville hospital after a friend convinced her that the girls needed help, and on Thursday, both girls were taken off ventilators and passed away, Hierholzer said. Brynn Hawkins was a year old and Addyson Overgard-Eddy was 2 years old. Though Hawkins claimed the girls passed out after playing in flowers, investigators determined that was not the case. "This is by far the most horrific case of child endangerment that I have seen in the 37 years that I have been in law enforcement," Hierholzer said. Months before allegedly leaving her children in her car, Hawkins was investigated by the state's Child Protective Services, officials said. A spokeswoman for CPS confirmed to the Houston Chronicle that Hawkins, as well as her husband and Brynn's father, Isaac Hawkins, had been investigated in September, but could not discuss details or the outcome of the investigation. Hawkins and her husband have since become estranged, according to reports. The investigation came about two months after Hawkins lashed out at potential detractors, taking to Facebook to address those who criticized her parenting abilities. "If you want my mom to check up and ask questions about if my daughters are taken care of that is messed up. You can ask me yourselves or leave us alone! We are great here," Hawkins wrote on July 7, 2016. "Focus on something else. My daughters have everything they want, and need, plus so much more ... How dare someone question if I take care of my kids." In December, Hawkins created a GoFundMe page asking for money to buy a home. "We are living with my grandparents," she said of herself, her husband and children. "We are both working but it's still hard." In the five months since the creation of the campaign, Hawkins had not raised any money to meet her $1,500 goal, but the page had become a sounding board for those outraged at the mother's alleged role in her children's deaths. "Obviously you didn't want your precious babies anymore and were too overwhelmed," one person wrote. "Should have given custody to a family member." "You deserve to rot in prison for murder," another poster commented. Hawkins was arrested on Thursday and charged with two counts of endangering a child. She is being held on $70,000 bond — $35,000 for each charge, authorities said. A grand jury could decide to upgrade the charges since the girls have died, officials said. If she is found guilty of the charges she presently faces, she could face up to two years in prison.